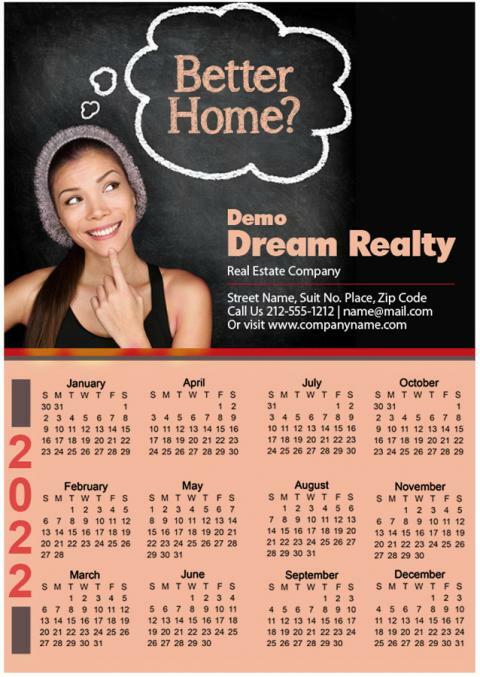 A 7.37 x 10. real estate calendar magnet offers ample of advertising space to advertisers who wish to make their brand information crystal clear in the public vision. Advertisers who wish to seek it in bulk only need to shell out just $0.72 towards customization. This magnetic promotional banner suits advertisers who are indulged in making of a brand. They can always rely on it for easy attention and a quick lead from nearest competitors. Product Size: 10.5 in. x 7.375 in.